Create sophisticated holiday floral arrangements on all of your Christmas themed creations using festive miniature poinsettias accented with tiny holly and berry clusters! 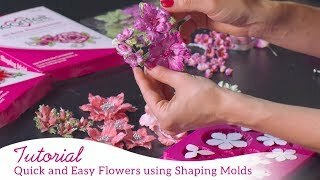 Two delicately illustrated poinsettia cling stamps invite you to create the ever popular Christmas flower as beautiful single blossoms or doubled up as dimensional miniature masterpieces. The two varying sizes of detailed holly and berry cluster stamps complete the festive look. 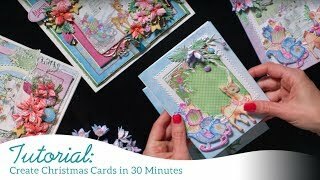 Perfect to use as dimensional embellishments, hand stamped backgrounds or repeating borders on all holiday cards, scrapbook layouts and altered art pieces! 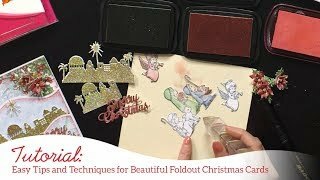 We recommend purchasing the coordinating Poinsettia and Holly Clusters Die.This stamp and die combination has been created for use with the 3D Poinsettia Shaping Mold as well as the Deluxe Flower Shaping Kit.